Lifting the burden of Governance and compliance for churches. 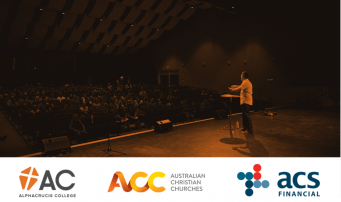 ACS Financial is continuing to evolve as a key source of innovation for the business needs of churches and we are excited to announce that we have successfully designed, tested and launched a simple but powerful software tool to deliver improved church governance and compliance. Called Titus, the solution has significant church benefits for the church board, pastoral team, congregation, staff, volunteers and the broader community. Just as Luke’s Gospel records Simon of Cyrene being forced by the Roman authorities to walk behind Jesus carrying His cross, so the contemporary Australian church imagines itself forced to carry a heavy governance and compliance burden as it seeks to follow Jesus. If there is theological warrant for accepting governance and compliance demands then church performance across administration, compliance and risk management. As the demands have grown on church and church-related social service, health and education organisations, they have often failed to keep pace, a situation made even more dangerous by declining trust in churches and increasing media scrutiny. budgeting for professional risk management. The ‘Titus’ software solution, which is available now to all churches from ACS Financial, enables you to build the platform necessary to assist in protecting the health of your church and establish a strong foundation for the future. The software sets you on the path of demonstrating active and auditable governance across your church activities. The solution can be scaled based on the size and complexity of your church operations. Senior Manager Sales & Marketing from ACS Financial today on (03) 9811 9804. The Importance Of Good Go..